Merry Christmas everyone & Happy Holidays!! 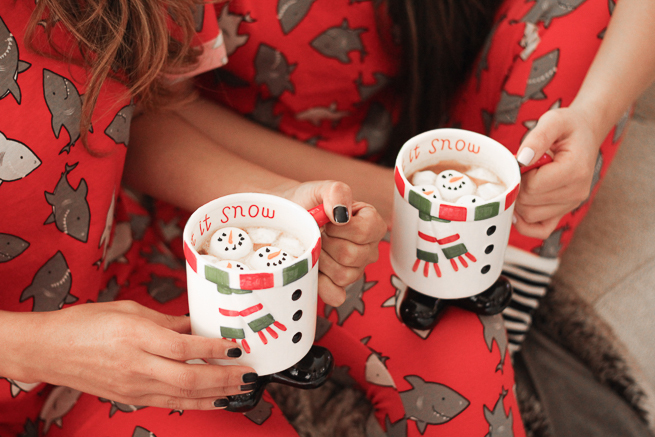 Today I wanted to share a few snaps of our Christmas PJs this year (I'm just so obsessed with them)! It's no secret that I love sharks, sooo yea you guessed it...these pajamas are extra special. My family always celebrates Christmas the way most Latinos celebrate...on the 24th. And, we usually dress up and celebrate all night and do a gift exchange at midnight. 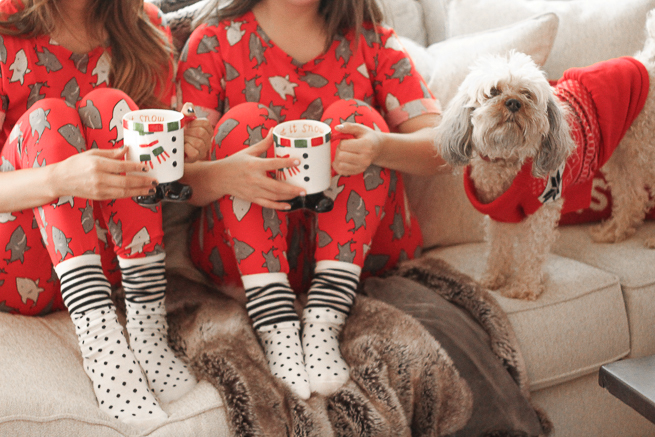 So growing up I did not know there was a matching pj tradition...until social media enlightened me with this tradition. So three years ago my sister and I decided to jump on board and do the matching pajama thing. And so, three years strong we have done matching pajamas. And this year's set is my favorite of all time.